Visiting in Annett’s Mono Village, Bridgeport, CA for the summer. 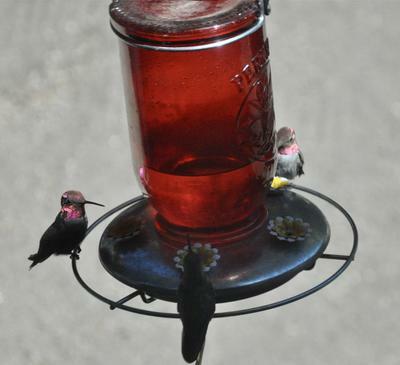 We put out feeders and have had so many hummers. 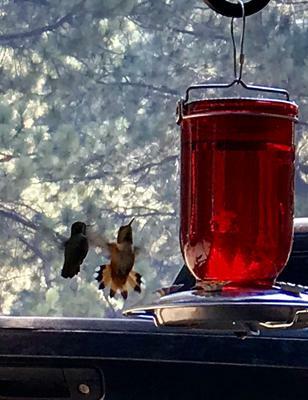 My best guess is Anna’s Hummingbirds and Rufous Hummingbirds. I love this picture.